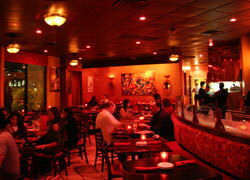 Locals and Tourists all rave about the fabulous dining options in Las Vegas. No matter what you are looking for you can find it at nearly any hour of the day. The city offers the best in service and food whether you are looking for American, Chinese, French, Italian, Japanese, Mediterranean, or Mexican cuisine. Whether you choose a standalone restaurant or to dine in one of the lavish restaurants in the many casinos you will find fine dining in Las Vegas to be an absolute art form. Perfect service and the most amazing gourmet options await you. Best of all, most of the food is a considerable value for what you will receive. The best chefs in the world can be found in Las Vegas. Many of these, world renowned cooking experts have come from around the globe just to open or cook in one of the many restaurants. Whether you are looking for vegetarian flavors or something exotic there is a chef that is here to see to your every need. In addition to standard cooking chefs some of the best pastry chefs in the world reside here in Las Vegas. You cannot end a good meal without some delectable desserts to please your palette. If you cannot make up your mind about what to eat you can choose to visit one of the many buffets in the area. The buffets in Las Vegas are nothing short of amazing. You can choose an economy buffet and get an inexpensive meal for pennies on the dollar or you can go the gourmet route and pay a little more, but end up enjoying some high priced gourmet foods. You will not have to worry about researching all of the restaurants in Las Vegas for your bachelorette party. We have done that for you. 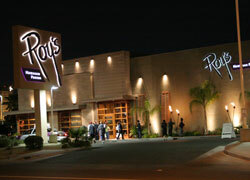 We have lists of all of the restaurants in Las Vegas, especially those that are close to the Strip. Feel free to check out their menus and let us know when you are ready to make some reservations. 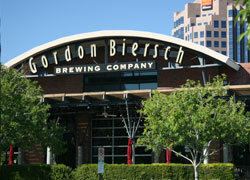 Gordon Biersch Brewery Restaurant offers a unique mix of internationally influenced cuisine and world-class German Lagers brewed on-site. 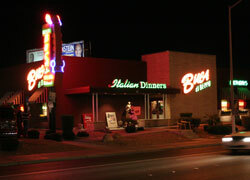 Buca di Beppo specializes in Immigrant Southern Italian Food, served family style. Our large portions are legendary. Based on his childhood memories of the feelings and flavors of Hawaii, Roy invented what he refers to as "Hawaiian Fusion" cuisineEa tempting combination of exotic flavors and spices mixed with the freshest of local ingredients, always with an emphasis on seafood.